Ready for some Halloween fun? 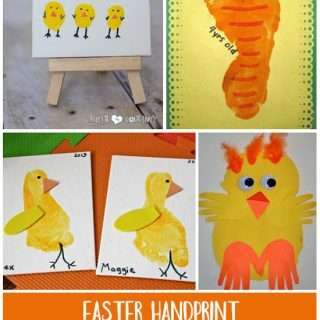 Who knew there were so many ways to make pumpkin prints using little handprint and fingerprints!? 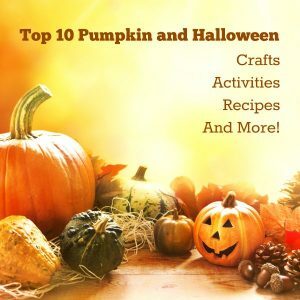 Here are 10 different ideas for Halloween keepsakes, cards, art projects, gift bags, and learning. 1. Pumpkin Counting Activity – free printable that’s perfect for preschoolers! 2. 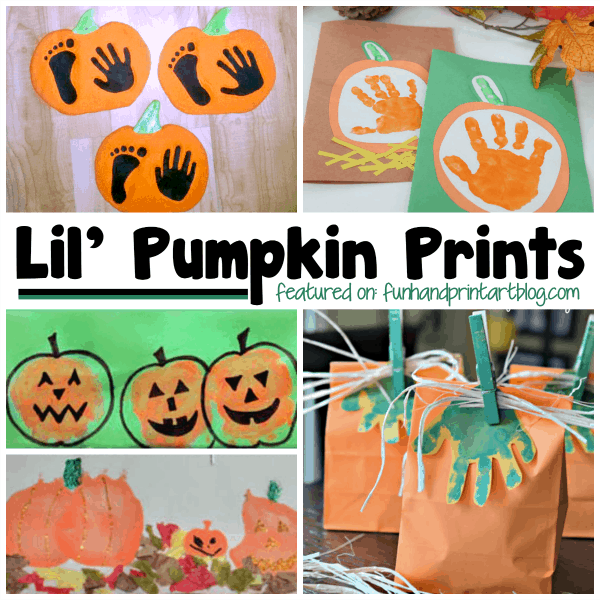 Stamped Pumpkin Prints – Make jack-o-lanterns and add thumbprints! 3. 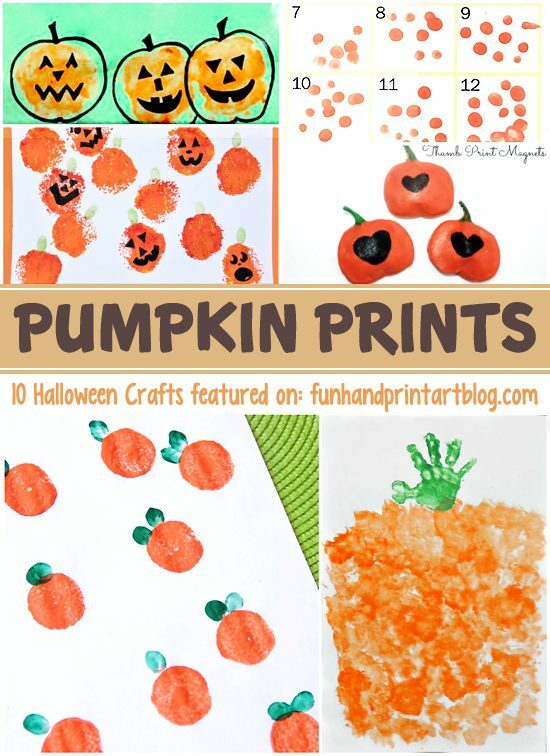 Palm Print Pumpkins with glitter or make Palm Print Jack-o-lanterns – Add a ghost or two! 4. Funny Face Jack-o-lantern Craft – made from paper plates. 5. Salt Dough Pumpkin Handprint Keepsake – Love these from Practical Mommy! 7. From Your Little Pumpkin – Cute card idea from Frugal Fun for Boys. 9. Sponge Painted Pumpkin – Handprint art activity from ABC Creative Learning. 10. Stamped Pumpkins and Thumbprints – Easy idea from Sugar Aunts. 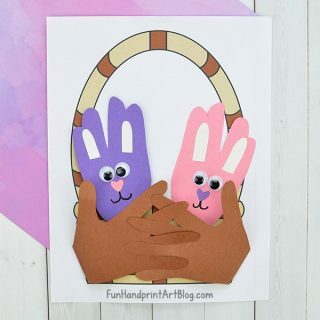 I always love hand print crafts – these would make a great decoration and a great keepsake!